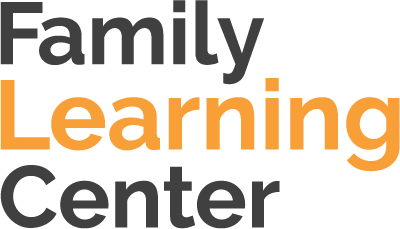 The Family Learning Center (FLC) is a collaboration between DACCO and Champions for Children, funded by the Children’s Board of Hillsborough County. We offer parenting classes, new mom support groups, visitation playgroups, reflective groups, and child development seminars for mothers undergoing treatment for substance abuse at DACCO, all with the goal of helping them re-establish strong, healthy relationships with their children that truly last. FLC also serves as a an Eckerd Early Head Start and School Readiness Provider, enrolling children from newborn to 3 years old. Child Care: We offer Early Head Start day care services for children aged 0-3. Our procedures are governed by Hillsborough County Child Care Licensing. We are a small facility with only 20 openings available for enrollment. We have on-site management and qualified teachers that have vast knowledge in child development and curriculum. Fun family activities are planned monthly. All meals are prepared on site in accordance to the USDA food guidelines. To inquire about registering your child, call (813) 384-4089. Nurturing Parenting: An 18 session group-based program with lessons that are competency-based ensuring parental learning and mastery of skills. 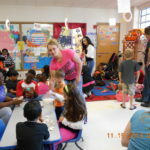 Parents learn about recognizing and understanding feelings, nurturing parenting routines, alternatives to hitting, child development, and ways to build self-esteem and self- concept in self and children. New Moms Network: An ongoing weekly support group for women who are pregnant or have an infant up to six months of age. Knowledgeable facilitators are present to answer questions and connect to appropriate resources in the community. These playgroups, which serve as a visitation opportunity for children and family members of moms in treatment, are designed to expand and build interactions for both parents and children, while also recognizing and strengthening the natural competence of parents as they interact with their children. Milestones: Seminars covering child development topics. These workshops provide moms in treatment with crucial information on healthy child development, from prenatal to elementary school age. Facilitators provide developmental activities for parents to practice with their children.